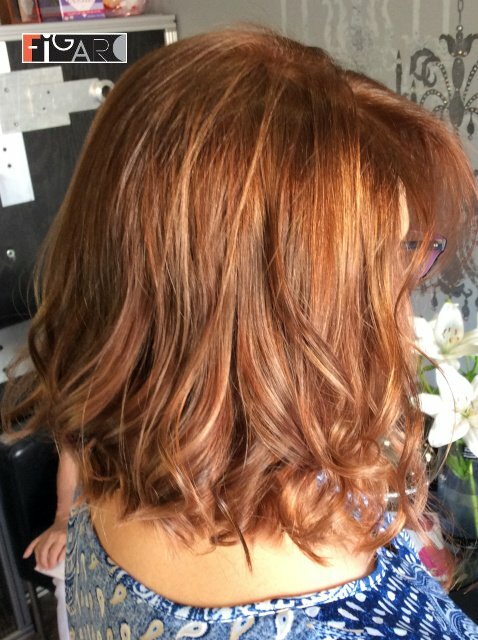 This is a trendy chose for brunettes, redheads and some shades of blondes. 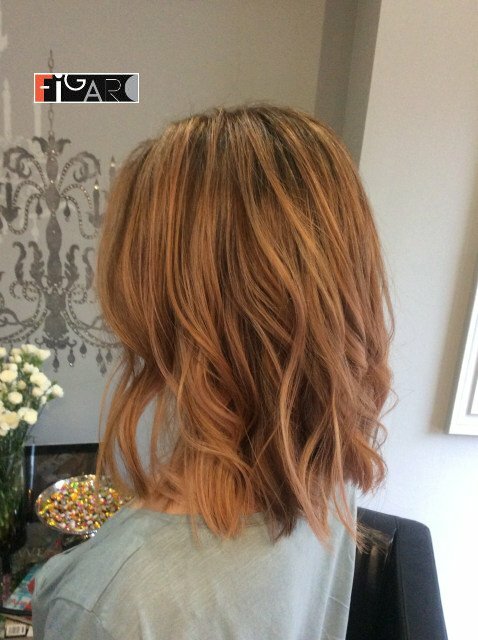 Different tones of rose gold are now in fashion, enjoy our salon clients in these gorgeous Toronto’s Figaro salon photos. 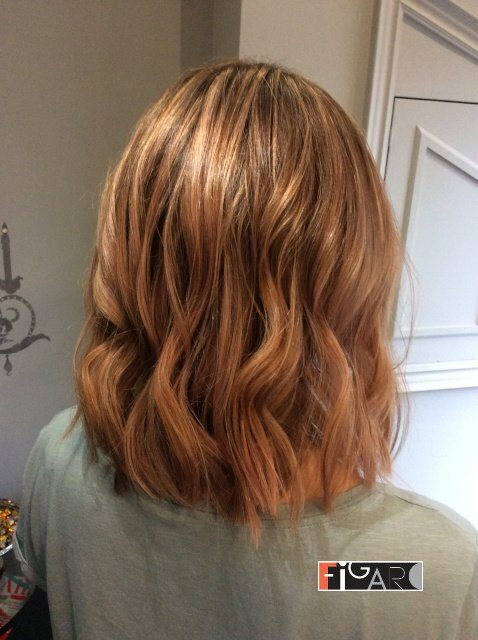 We may suggest a range of shades of rose gold from a deeper dusty pink to a less intense pastel. 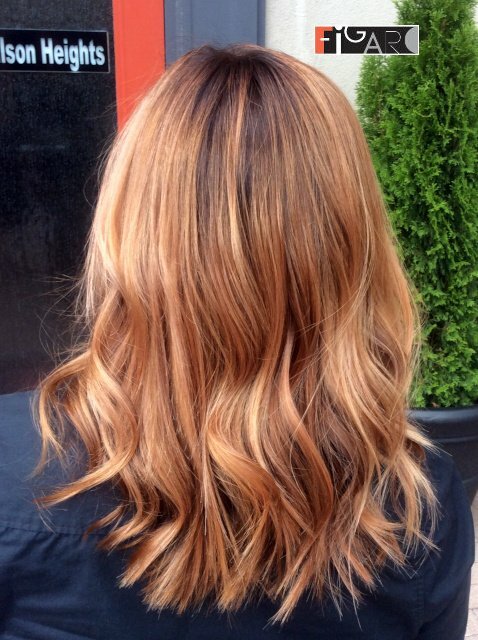 In order to make golden tone to shine we supplement it with auburn or even copper. 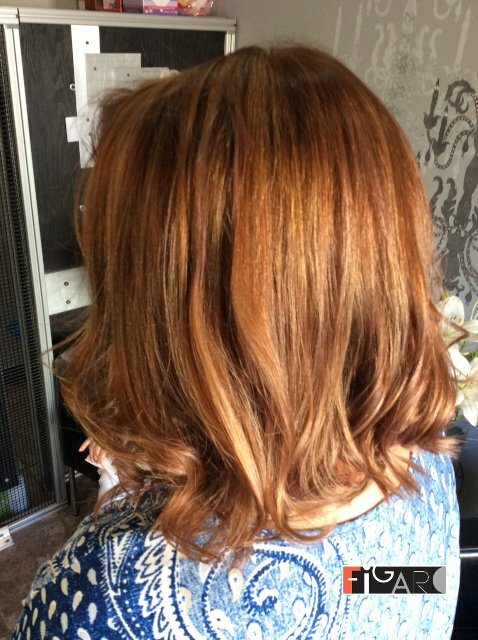 Achieving the desired shade intensity for balayage takes time and requires an experienced master colourist’s technical and artistic skills. 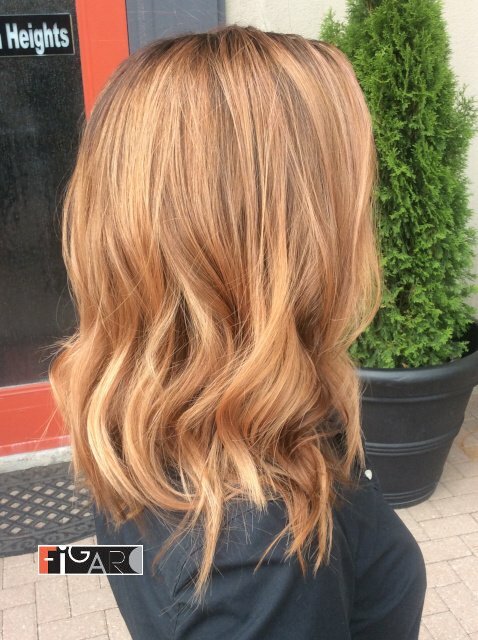 Balayage is the method to paint the hair without using foil. 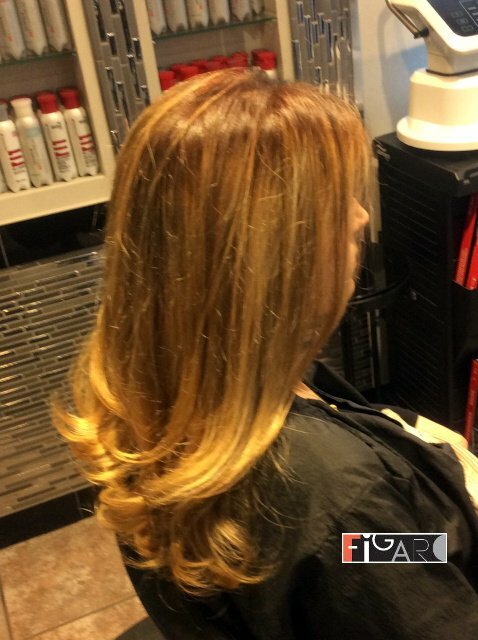 Here at Figaro Salon you will get stunning results and exceptional quality of balayage hair colouring without developing noticeable roots. We suggest to use multiple shades of pink to provide dimensions. 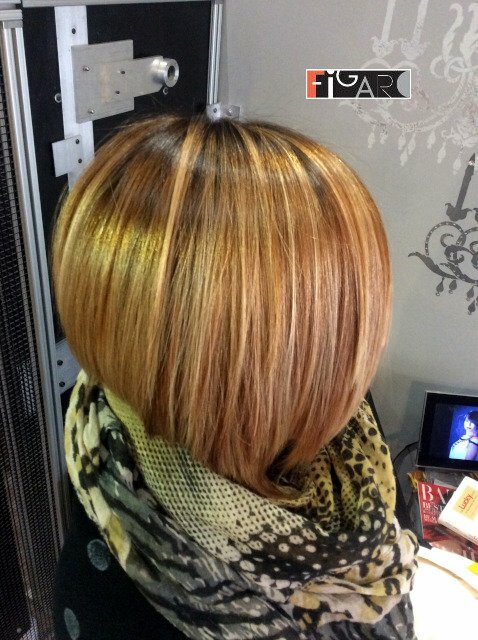 No need to touch up every several weeks like foil highlights. 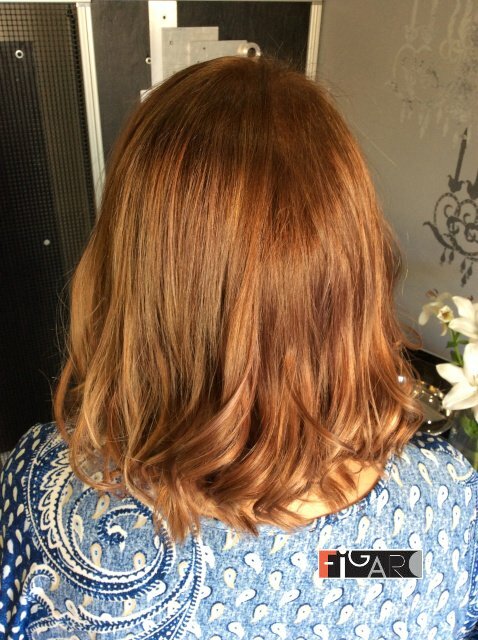 You can enjoy Rose Gold Balayage for up to 4 months without a roots touch up. 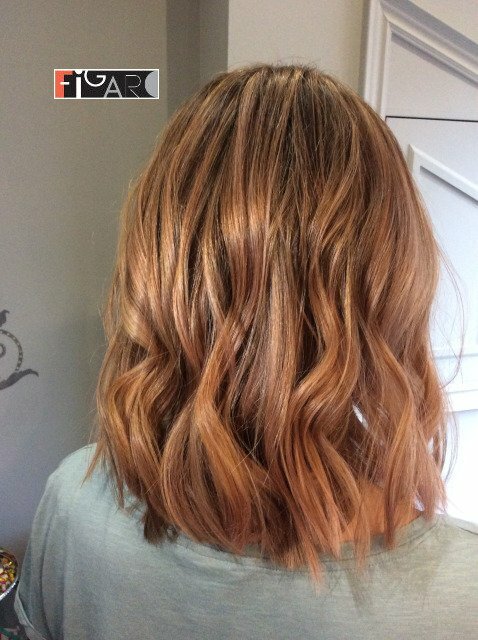 If you have existing visible roots Rose Gold Balayage highlights will not cover it. 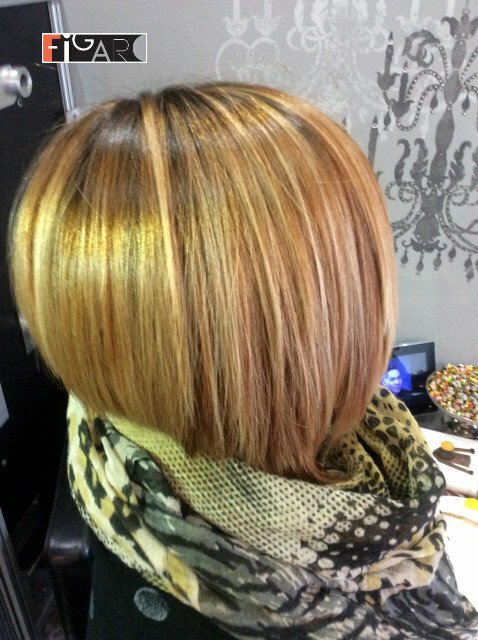 In this case we could combine roots touch up with highlights procedure. 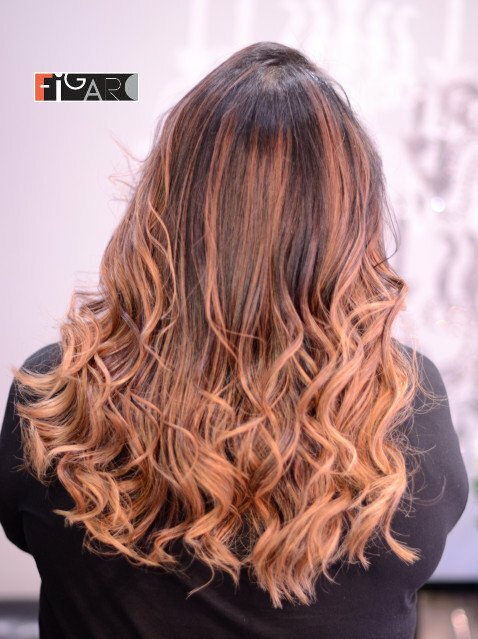 Our salon colourist will check the condition of your hair, and will consult with you to find the right hair colour, offer shade which best suits your skin tone. 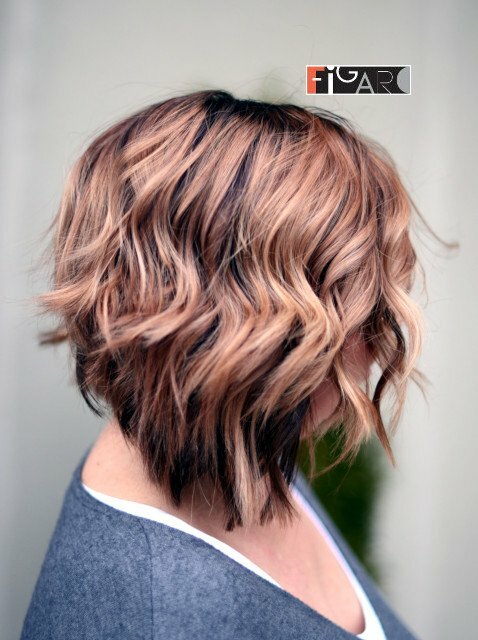 We may suggest adding OLAPLEX to deliver conditioning benefits and to ensure structural integrity. We use Goldwell hair colour and we also offer ammonia free bleach and ammonia free hair color for those with sensitive hair. 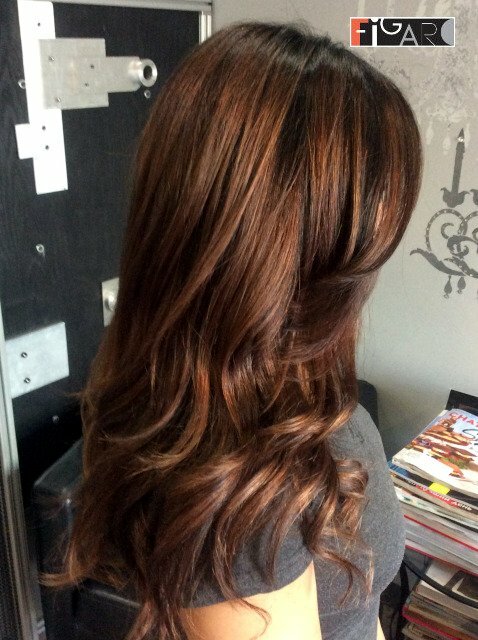 Our colour service is the best in Toronto! All the images you see on our website were done by our team. 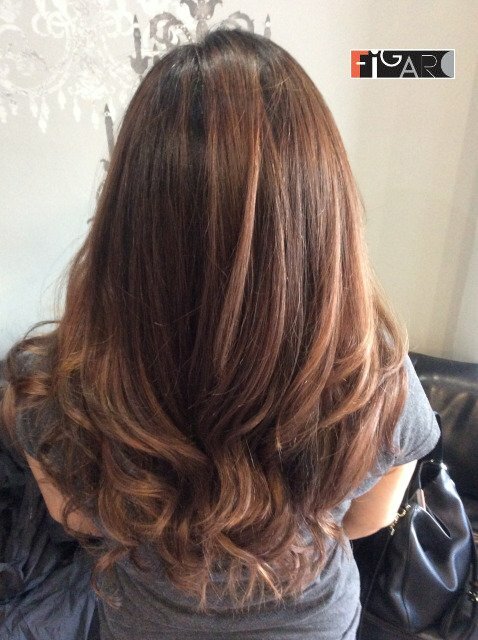 Our experienced (15 + years) colourists will deliver the same look you see here in our Gallery. 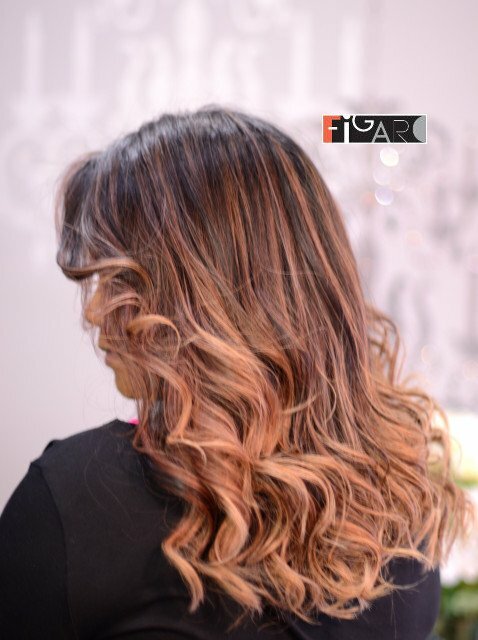 Any shade of Balayage Highlights can come true at Figaro Salon. 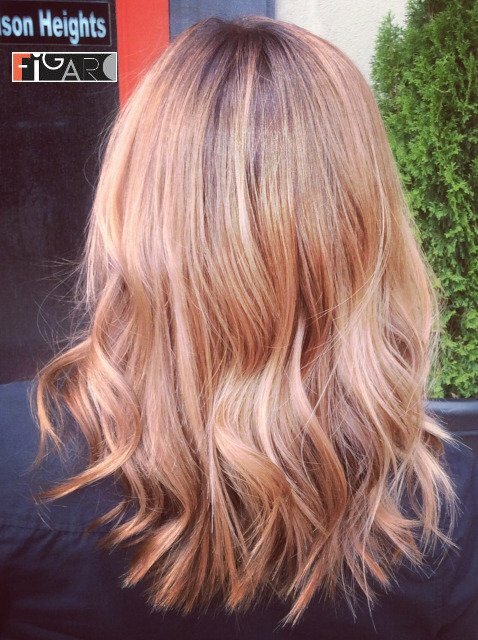 Call us at 1-416-913-6533 today to get your Rose Gold Balayage done in Toronto at leading Hair Salon!